It’s that time of year for reflection on what has passed and for me, Stock car season is no different, at the start of the year I wrote a piece on the ten things I was most looking forward to in 2017, and now is the time to revisit it. It was a bit of a cheat this one, at the time of writing the article I’d already been to Wimbledon, but it had been something I’d been trying to fit into my schedule for years, this year I made it and it was one of my highlights of the season, although it saddens me that the stadium has now closed and I’ll never be back there again. 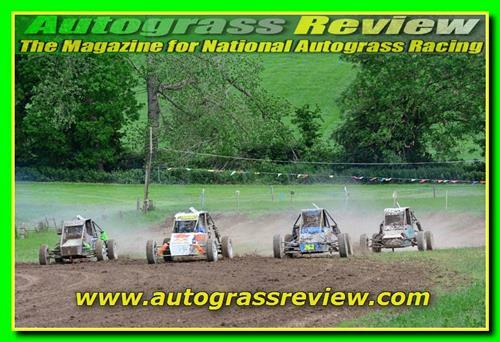 At the start of the season I was buzzing about autograss, a few more cars were out in our class, we’d nearly have had full grids in the All Irelands had we all turned up and raced. But the weather and a negative attitude toward rescheduling fixtures from many at Down left me completely disinterested by the end of the year. 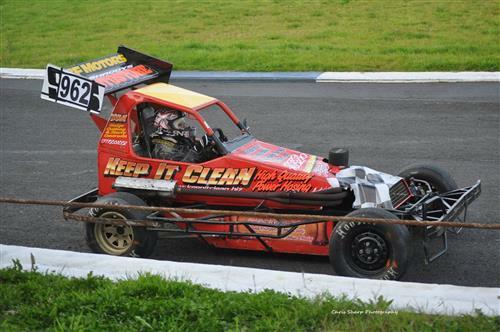 I enjoyed my time in Autograss, but it became apparent it’s time to move on. The Superstox European/ NHR British was probably the best of the local Speedweekend’s this season, certainly that I had attended The superstox were in superb form with Jordan Alyward winning the European. The Nationals were a bit down on the sort of numbers you’d hope we’d attract but put on some good racing and John Christie was a popular winner of their British Championship. Shamwreck continued to hold the crown of Ireland’s biggest Banger event, with some great action on the day and the Bears as entertaining as ever. Split weekend’s aren’t for me, even though the road miles aren’t much different for me from one track or the other, I find it draining doing both and don’t enjoy them the same as a single venue weekend. That said good weather, a bit of controversy and heats that nearly every fancied runner had an issue at some point made it a decent weekend of racing, in which Gordon Alexander landed the World Title. Ballymena’s 40th Anniversary was one of the meetings I should have missed with Autograss commitments, but as it turned off it was rained off and I got to Ballymena. The highlight of the meeting for me was the match race of the legends and the show of old cars, Billy Finnegan’s cars, Ivor Greenwood in his own old car and another ex Greenwood car restored on display with Walter McNeilly also having a run out in son Aaron’s Superstox. Ormond Christie also had a run out in John’s National. Carfest returned in 2017 and it was on the same day as the Stock Rod World final at Aghadowey, it made it a bit of a charge round to get to Ballymena for the show in the morning, back to Carrick to pick the wife up and then off to Aghadowey, rather disappointingly there wasn’t much of a motorsport presence at it either. 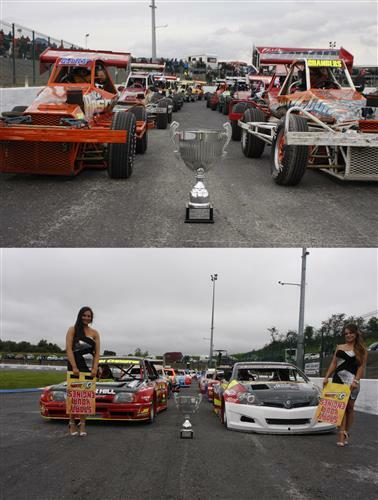 The British Autograss Series made it’s first trip to Ireland this year, on a weekend where the weather perhaps didn’t play ball. There was huge numbers of cars and from what I hear some great racing, but I didn’t manage to get down to it. I did manage to get to Mallow later in the season and I was impressed by the setup. The NIOvalTV series was well supported this season, which was pleasing giving the investment we put into it, even down to the Hoosiers guys not knocking 50p off an order of tyres to have made it an even note!! The idea was to have a shootout final with a salute to the fans and one of my most relieved moments of the season was when that fell into line. The Shootout itself wasn’t a great race, a big first bend and then Denver Grattan drove into the distance but at least over 5 laps it wasn’t drawn out. What most people won’t have seen was what happened behind the scenes, following the final Stephen Stewart missed a last bend lunge on Greg Hyndman and picked up heavy damage, when I went into the pits to let those who’d qualified know they were in I couldn’t find anyone, then I found them all around Stephen’s car trying to get him back out, a great team effort to get a fellow competitor out. Those were the things I was looking forward to, a few of the things that surprised me and turned out to be season highlights were….. 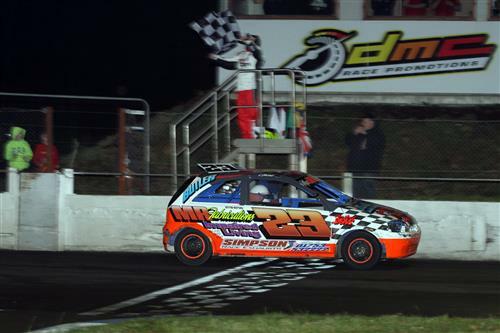 The NHR qualifying went down to the wire in spectacular fashion at Ballymena and it was Shane Murray who nicked it at the very last, winning by just 1 point!! With the top 5 only being covered by a handful of points, a real nail biter of a finish. I hadn’t planned to be switching to tar in 2017 or be out in a Superstox, but as things panned out I was lucky enough to be offered a drive from Adrian McKinstry and enjoyed it so much I ended up with my own. It was one of those right place at the right time things, but a much appreciated go at tar racing.